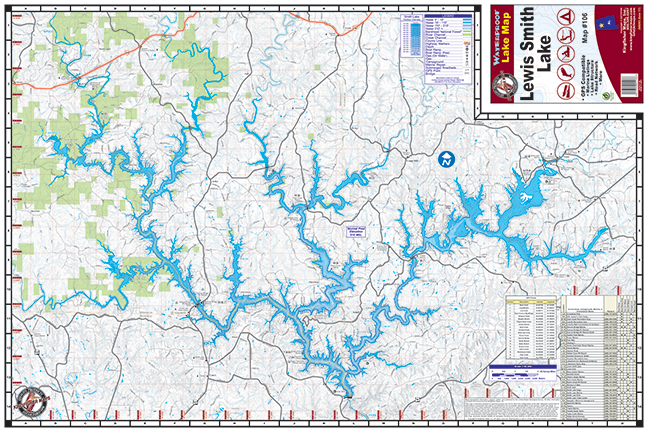 Lewis Smith Lake 106 – Kingfisher Maps, Inc.
Lewis Smith Lake 24″x 36″ One-sided. Scale 1:50,000 Waterproof and Tear Resistant! 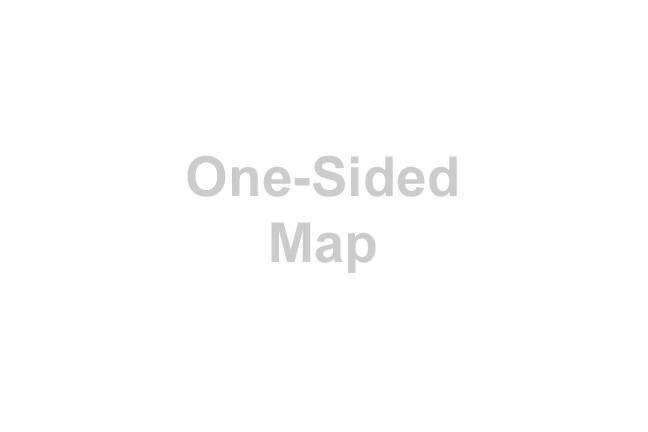 GPS Compatible, Marina Listings, Lake Structure, Road Network and More. Lewis Smith Lake is located in Northern Alabama (Cullman, Walker & Winston Counties) on the Sipsey Fork of the Black Warrior River. The lake covers over 21,000 acres and has a maximum depth of 264 feet. The three-fingered reservoir has over 500 miles of shoreline with a full pool of 510 feet above mean sea level. The lake was created by Alabama Power with the construction of the Lewis Smith Dam. One of the largest earthen dams in the eastern US, it stretches 2,200 feet in length and reaches a maximum height of 300 feet. Construction began in 1957, and the dam entered service in 1961.